Featuring new and recent work, Death Rock City examines how New York artist Dannielle Tegeder challenges the two-dimensional boundaries of traditional painting through the integration of animation, sculpture into her work. Dannielle Tegeder earned her BFA from the State University of New York at Purchase and her MFA from the School of the Art Institute of Chicago. She has had solo gallery exhibitions in Paris, Berlin, New York, Los Angeles, Chicago, and Houston and participated in numerous group exhibitions at PS1/MoMA, The New Museum, The Brooklyn Museum, and the Museum of Contemporary Art, Chicago.Her work is in the collections of a number of museums including the Museum of Modern Art in New York, the Museum of Contemporary Art in Chicago, and the Weatherspoon Art Museum at the University of North Carolina at Greensboro. 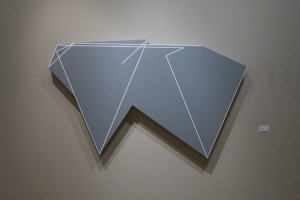 "Topology" employs elements of early modern logic and its attendant forms in art and technology. It considers aesthetic and industrial incentives originating in rural America and calls into question modernism's strictly urban mythology. Grids, cruciforms, and wood grain details are embedded in extended patterns calling to mind Constructivist and Bauhaus Schools' principals of industrial hybridity and utopianism. But the site of industry here is agriculture with distilled forms taken from domestic textile design, land management diagrams, and vernacular architecture. Paul Krainak is an artist, critic, and Chair of the Art Department at Bradley University. 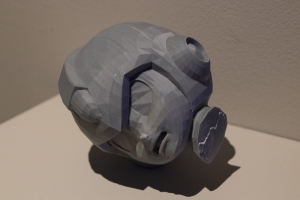 As one of the Dogwood Arts Festival's featured exhibits, NEXUS, showcases national and international artists working in contemporary sculpture and 3D media. 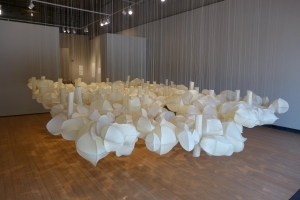 Indoor sculptures comprising all styles and genres from emerging and established artists will be selected by esteemed professor, Laticia Bajuyo, for exhibition at the University of Tennessee's Downtown Gallery. 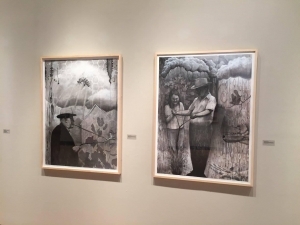 Marion Greenwood in Tennessee features her mural of the history of Tennessee music painted for the University Center at the University of Tennessee in 1954; "The Partnership of Man and Nature," a WPA mural painted in 1940, graciously loaned by the Crossville, TN Post Office; preparatory sketches loaned by UT Special Collections; and lithographs from the permanent collection of the Ewing Gallery of Art and Architecture. Ask Me, I can Help. An exhibition of the incoming class of 2017 MFA candidates. 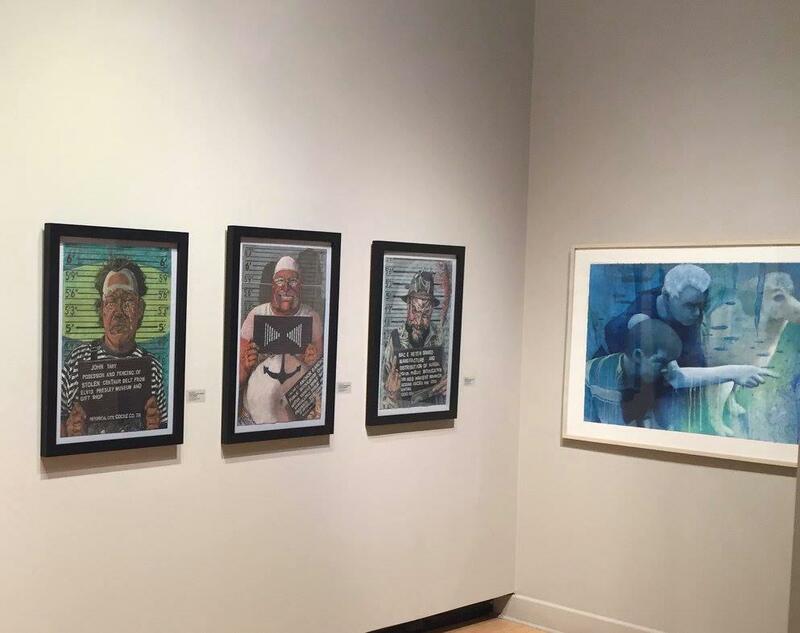 Twelve student artists feature their current work as they begin their graduate studies at the University of Tennessee, School of Art. Exhibiting students are: Corinna Ray, Anna Wehrwein, Jing Qin, Josh Shorey, Jessica Gatlin, Abigail Lucien, Elysia Mann, Adam Higgins, Meg Erlewine, Geoff Silvis, Chris Spurgin, and Bailey Davenport. Air of UT is an exhibition of the Limited Box Edition project, curated by artists Wade Guyton '95, Josh Smith '98, and Meredyth Sparks '94. The Limited Box Edition project is part of a fund raising campaign to support the School of Art's Artist-in-Residence in Painting and Drawing program. Now in its 32nd year, the Artist-in-Residence (A.I.R.) program enriches a student's experience by bringing a different artist to spend the semester teaching undergraduate and graduate students. The resident artists are selected because they have launched successful careers in the contemporary gallery and museum world nationally and internationally. They furnish students with significant role models and faculty with new professional connections beyond Knoxville. Each of the organizing alumni -- Wade Guyton, Meredyth Sparks, and Josh Smith -- benefited from this program, and have asked their former School of Art peers as well as past Artists in Residence to contribute images to the three curated portfolios making up the Limited Box Edition. AIR of UT and the Limited Box Edition is a celebration of the legacy and impact of the Artist in Residence program on the School of Art and its graduates. DeWitt Godfrey is a Professor of sculpture in the department of Art and Art History at Colgate. Godfrey completed his undergraduate work at Yale University, was a member of the inaugural group of CORE Fellows at the MFA Houston, and received his MFA from Edinburgh College of Art, Edinburgh, Scotland. He is the recipient of numerous grants and fellowships, including a National Endowment for the Arts Artist's Fellowship, a New York Foundation for the Arts Artists Fellowship, a Japan Foundation Artist's Fellowship, and a Louis Comfort Tiffany Foundation Artist Fellowship. His work is in the collections of the Museum of Fine Arts, Houston, Texas and the Brooklyn Museum, Brooklyn, New York. 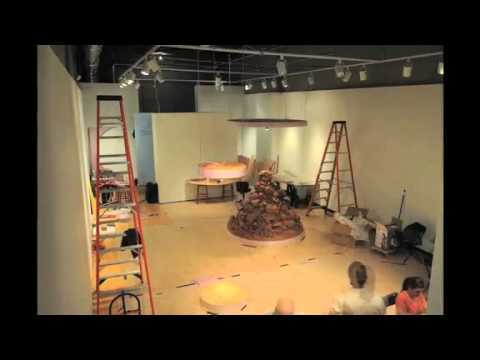 His commissioned work includes "Concordia" for Lexarts, Lexington, KY; "Waverly Place" Cambridge Arts Council; "Greenwich South" a visioning exercise by the Downtown Alliance, New York, NY and installations at Frederik Meijer Garden and Sculpture Park, Grand Rapids, MI; The DeCordova Museum and Sculpture Park, Lincoln, MA; and the Kennedy Art Museum, Ohio University, Athens, OH. My Home is an on-going project aimed to help define my identity as a Chinese American and attempt to preserve generations of memories and experiences of Chinese immigrants through photography. My Home serves as a contemporary marker for Chinese Americans to reflect on the hopes, dreams, and sacrifices made for them by older generations in order for their children to have a chance of a better life in America. Artists throughout history have found inspiration in the form of birds. Man imbued birds with mystical and religious meaning due to their fascinating ability to exist in two worlds – the earthly world, and the sky, or heavenly realm. 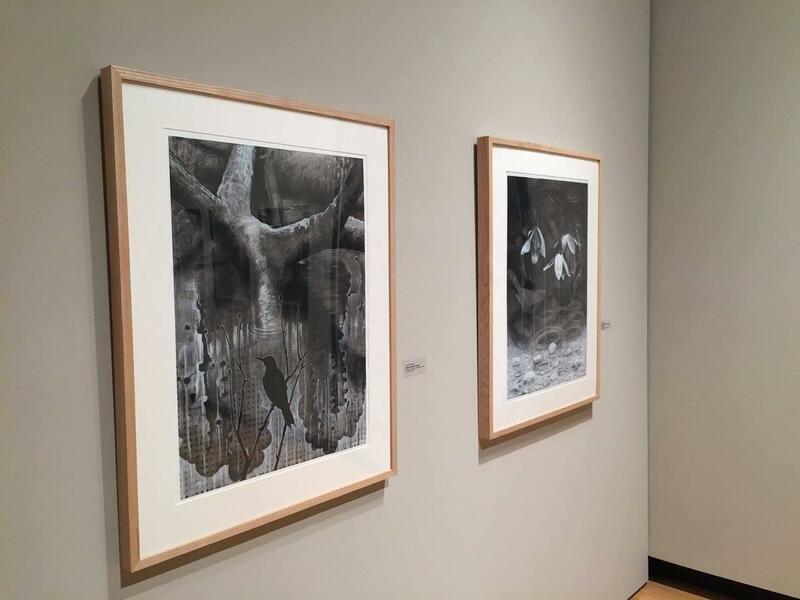 Drawn primarily from the Ewing Gallery’s permanent collection, Of a Feather features works from historic and contemporary artists who represent birds in a diverse assortment of styles. While some artists approach the bird as studies of simplified form others utilize strategies of space and distance to take a more poetic or analytical look at the economic and social issues attached to birds. Works range from hyperrealism to whimsical to abstract. This exhibition incorporates a number of artists of artists from New York and Chicago including Keith Haring, Michael Kirk, Keith Long, Diane Churchill, and Laurie Hogin; regional artists, Howard Finster, Todd Johnson, Kelly Hider, Heather Middlebrooks, Gary Monroe, and Richard Jolley, as well as distinguished faculty from the University of Tennessee – Jered Sprecher, Diane Fox, Beauvais Lyons, Marcia Goldenstein, Don Kurka, Bill Kennedy, Clark Stewart and Byron McKeeby. The artworks on display consider themes of scientific inquiry, symbolism, environmental consciousness, and the rituals of birding, among others. The exhibition is in tribute to the late artist Ellen Lanyon who often used images of birds in her art. 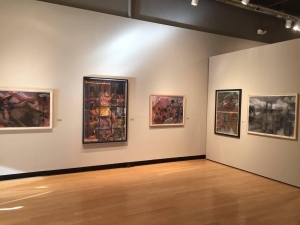 In the summer of 2013, six students accompanied Ewing Gallery director, Sam Yates to New York, Philadelphia, Boston, New Haven, and Washington DC. They visited major art museums, had studio visits with artists, and learned about the contemporary art world. The work on display was inspired by their travels. 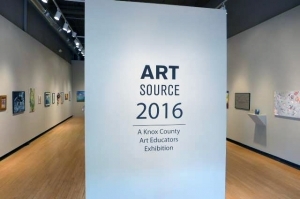 The exhibiting students are, Alexandra Gellis, Eric Cagley, Brandon Donahue, Sarah Campbell, Jessica Beeler, and Kelly Householder. Chad D. Curtis is an artist and technologist living and working in Philadelphia. Drawing inspiration from both digital technology and homebrew DIY makers, Curtis's work examines the abstraction of materiality in the digital age and the effects of high technology on the relationship between human beings and the natural environment. 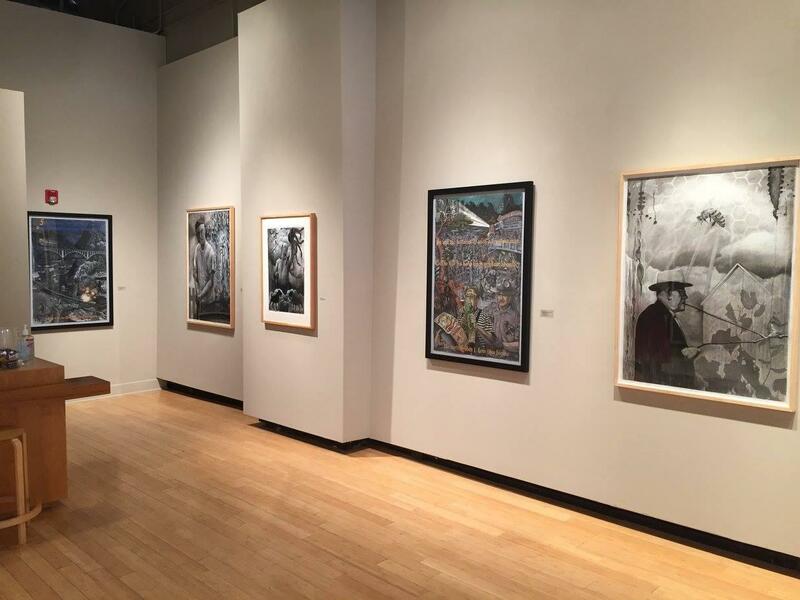 Curtis has exhibited internationally, including more than fifty solo and group exhibitions in the past ten years. He holds an M.F.A. from Alfred University and is an Associate Professor at the Tyler School of Art, Temple University. William Lamson is a Brooklyn-based artist who works in video, photography, performance, and sculpture. His work is in the collections of the Brooklyn Museum, the Dallas Museum of Art, the Museum of Fine Arts, Houston, and a number of private collections. Since graduating from the Bard M.F.A. 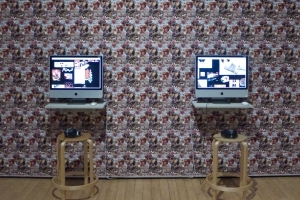 program in 2006, his work has been shown at the Indianapolis Museum of Art, the Brooklyn Museum, P.S.1 MOMA, and the Museum of Fine Arts in Santa Fe, among others. Lamson is currently working on two installations for Storm King Art Center in Mountainville, New York. As one of the Dogwood Arts Festival's featured exhibits, NEXUS, showcases national and international artists working in contemporary sculpture and 3D media. 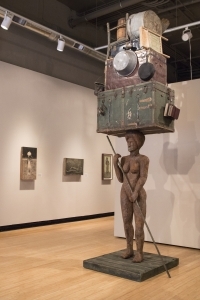 Indoor sculptures comprising all styles and genres from emerging and established artists were selected by nationally recognized juror, Durant Thompson, for exhibition at the University of Tennessee's Downtown Gallery. Durant Thompson is an Associate Professor of sculpture in the Department of Art at the University of Mississippi. In 1997, Durant received a BFA in Sculpture from the University of Tennessee at Knoxville and in 2001 he earned an MFA in Sculpture from Louisiana State University. He has also worked at The Johnson Atelier School of Technical Sculpture in New Jersey and at the University of Southern Mississippi as a technician and instructor before accepting his current position. The KWS celebrates its 50th anniversary with an exhibition of works by the current members as well as highlighting the founding members: Robert Birdwell, Ted Burnett, Richard Clarke, Kermit "Buck" Ewing, George Galloway, Martha Godwin, Arlene Goff, David Joyner, Josephine Mayo, Margaret Scanlan, Walter "Holly" Stevens, Carl Sublett, and Betsy Worden. Fifty graduate students and faculty members at five universities: the University of Alberta, Canada; the University of Tennessee, Knoxville; the Royal Academy of Fine Arts, Antwerp, Belgium; Silpakorn University, Thailand and Musashino Art University, Tokyo, Japan created prints specifically for this project. The participating artists made their prints on the same size paper, allowing the viewer to focus on the image, rather than the scale of the work. The audience is encouraged to consider the artistic expression from each university and to find commonality across geographic and cultural borders, as the printmakers share ideas about their own interests, lives, and values. 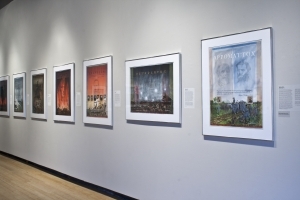 The works were created using various print techniques, which include inkjet, etching, drypoint, chine-colle, lithography, woodcut, intaglio and blind printing. This portfolio is a limited edition of 10 copies, two for each of the five universities, with the goal of further development of printmaking education around the globe. 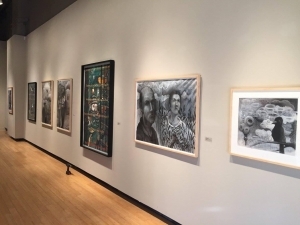 The University of Tennessee Downtown Gallery is excited to present "20 Years Later, UTK School of Art, MFA Class of 1993." 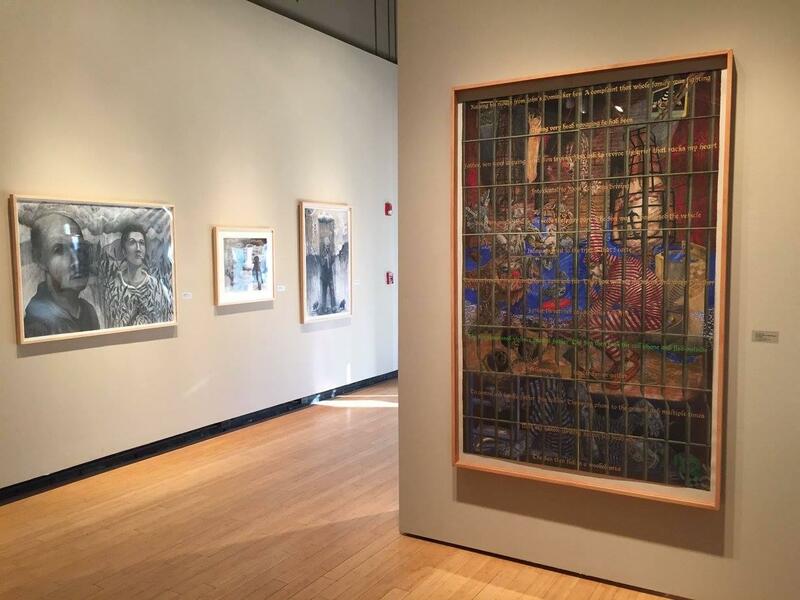 This exhibition features the work of 14 MFA artists from the UTK School of Art Class of 1993. 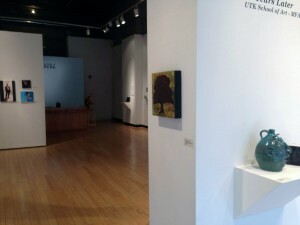 Artist's will be displaying work that is current or important in their journey in fine arts over the last 20 years. The UT MFA program attracts students from different regions of the United States as exemplified in this exhibition, which include artists from Mississippi, Florida, Minnesota, New York, Michigan, Kentucky and Tennessee. Artists included in the exhibition: Scott Palmer -- Ceramics, Annette Bongers - Ceramics, Melody Reeves -- Printmaking, Rob Tarbell -- Painting, Eric Fracassi -- Sculpture, David Deitrick -- Graphic Design, Eric Smith -- Graphic Design, Joel House -- Sculpture, Melanie McLaughlin -- Graphic Design, Kris Rehring Jones -- Graphic Design, Debi Henry Danielson -- Painting, Brad Cantrell -- Ceramics, Laurie Robichaux -- Ceramics, Earl Watson -- Graphic Design. 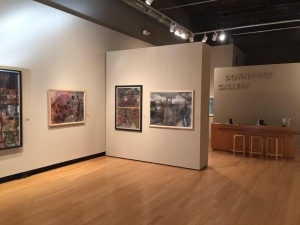 "Echo of the Object" is an exhibition by the artists and Ball State faculty members: Hannah Barnes, Jennifer Halvorson, David Hannon, and Jacinda Russell. This exhibition will bring together several series of works in drawing, painting, photography, and sculpture. Each body of work explores how objects of symbolic or personal significance play a role in the construction of memory, identity, and meaning. The metaphor of containment is a consistent theme in each artist's work, both in the use of objects whose literal function is to contain (bags, jars, boxes), and also in the suggestion that seemingly insignificant objects have a certain capacity to become filled with meaning. Time, humor, absurdity, the domestic, and the everyday are additional themes this exhibition will seek to explore. Three hundred artists have contributed to Ossuary. Their work, in many media, includes single bones, clusters of bones, and art works inspired by, using, or playing with the idea of bones. These bones are political statements and personal elegies, memorials to individuals and statements about mortality. They represent connections to our ancestors and/or to our descendants. Some works are serious and some use bones in a completely playful manner. Ossuary was developed in response to the repositories of bones that have accrued in countries like Cambodia and Rwanda, but Ossuary is not a project about those traumas. Rather, Ossuary offers a poignant counter-image to mass violence. It is a project about the hope that art brings. Images and statements for all the bone works from this iteration can be found online at www.ossuaries.net. Ossuary is a cummulative traveling project. It began in Madison, Wisconsin. Artists interested in contributing bones to future exhibitions should write to ossuaries@gmail.com. This relational project was initiated and developed by the artist Laurie Beth Clark. 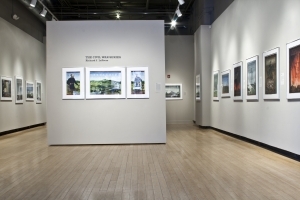 Clark, who is a Professor in the Art Department at the University of Wisconsin, has shown work in galleries, museums, theatres, and public spaces in North and South America, Europe, Asia and Africa. Extensive documentation of prior projects can be found at www.lbclark.net. This is the first digitally produced portfolio published by American Abstract Artists. All past portfolios—1937, 1987, 1997—were produced using various forms of lithography and means of transferring image to plate. Unlike traditional printmaking, the digital inkjet process does not involve a physical matrix from which ink is transferred to paper. 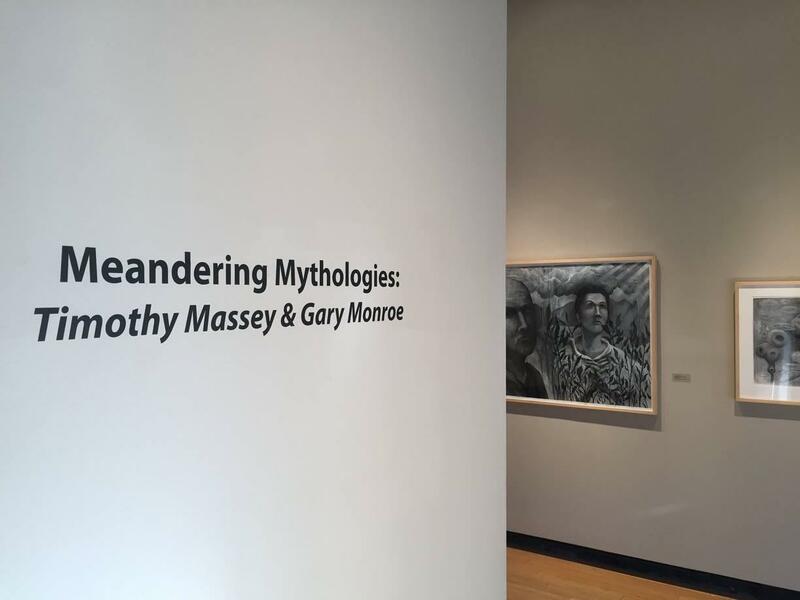 This marks both a technical and a conceptual shift in printmaking. Our choice of the medium situates this portfolio squarely in the current century and is an indication of the group's forward momentum. The artists were asked to provide a digital file meeting predetermined specifications, yet no restrictions were placed on how the file could be created. The digital process enabled a wide variety of approaches that include abstract and documentary photography, scanning of flat-work made expressly for the project, digital compositing and image manipulation, as well as the use of vector-based software and hand-coded algorithms. The results are as varied as the artists' individual sensibilities.